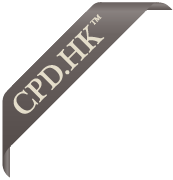 As a relatively new CPD provider in the business, The Profectional Company is a dynamic and passionate firm offering attractive CPD courses catered to the legal and financial professions in Hong Kong. We believes that when we come across outstanding contents, we should share it with our audience. Therefore with a permission/licence from our presenters, Profectional® is a pioneer in publishing video clips as well as presentation slides of our CPD courses online. Our videos have attracted hundreds of viewers and we have become a fast growing channel on YouTube. For more of our videos, please visit here. For more of our presentations, please visit here.